A True Story of Life Beyond Death; What Do You Believe? I recently read an unbelievably believable story about the afterlife and wanted to share it with you. 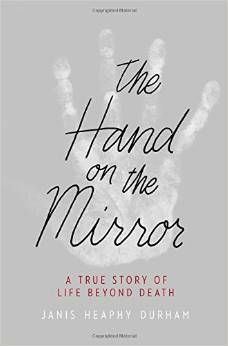 Most people are skeptical about the controversial topic of this book titled, The Hand on the Mirror: A True Story of Life Beyond Death, by Janis Heaphy Durham. It provides a first hand account about what happened to her after the death of her husband, Max. This book gave me hope and strength because all of us are touched by the death of a loved one, but even more importantly it gives people the ability to talk openly about their experiences of communicating with a loved one after the loved one has passed. While coping with her grief, Janis Heaphy Durham began encountering phenomena unlike anything she had ever experienced: lights flickering, doors opening and closing, clocks stopping at the time of her husband’s death. The most life changing thing happened on the first anniversary of Max passing. It was a powdery handprint that spontaneously appeared on her bathroom mirror. Incredibly, a similar image appeared on the second and third anniversaries as well. These events compelled her to begin her journey that transformed her spiritually and altered her view of reality forever. She interviewed several scientists and spiritual practitioners along the way, discovering the fragility of the veil between this world and the next, but most importantly how the two are connected by love. I got this book when I was at the Washington D.C. airport waiting for a long international flight to Germany to visit my son. I went looking for something to read (of course, because I love to read), when this book seemed to jump into my hands… so I just bought it. What a gift it became for me as I had just recently lost my dad and her words were very comforting. But a real “meant to be moment” happened when I read she went to Miami University in Oxford, Ohio and also taught school in Hamilton, Ohio, this was no coincidence, I was meant to find this book! Janis Heaphy Durham was very reluctant to write the book at first, fearing criticism and embarrassment; she was convinced that the unusual events she experienced would be impossible for many fact-based people to accept. But, she wanted to help drive this topic further into the mainstream and expand the acceptance that our consciousness survives after death; a topic that she believes has the potential to bring about change in all of us. It certainly did for me as I tried to put her words into practice during my European vacation with my husband and my two adult children. The book helped me put some important things into perspective. I realized that this fantastic experience of being on a European vacation with my family was a once in a lifetime thing, so I needed to remember to relish each and every moment, even the uncomfortable ones! This book helped me realize that if we live our lives with more emphasis on love, and less on fear of loss, then maybe, just maybe, we will begin to understand that each one of us has a purpose! So my advice to your dear friends is follow your dreams! What are they? What are you yearning to do in this lifetime? Thank you for the timely recommendation and reminder about living and loving more fully. What a gift this is, and you are! Thank you!! 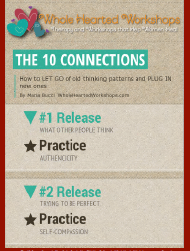 Love th.i…ist's so hard to plan for everything and Veteran's Day seems to fall through the cracks….This was a great reminder – I can't wait to use these Monday!